As a Biology professor at the University of Arkansas Pine Bluff (UAPB), Nastassia Merriweather is accustomed to breaking things down to their most elemental components and demonstrating how systems within an organism function to support each other. 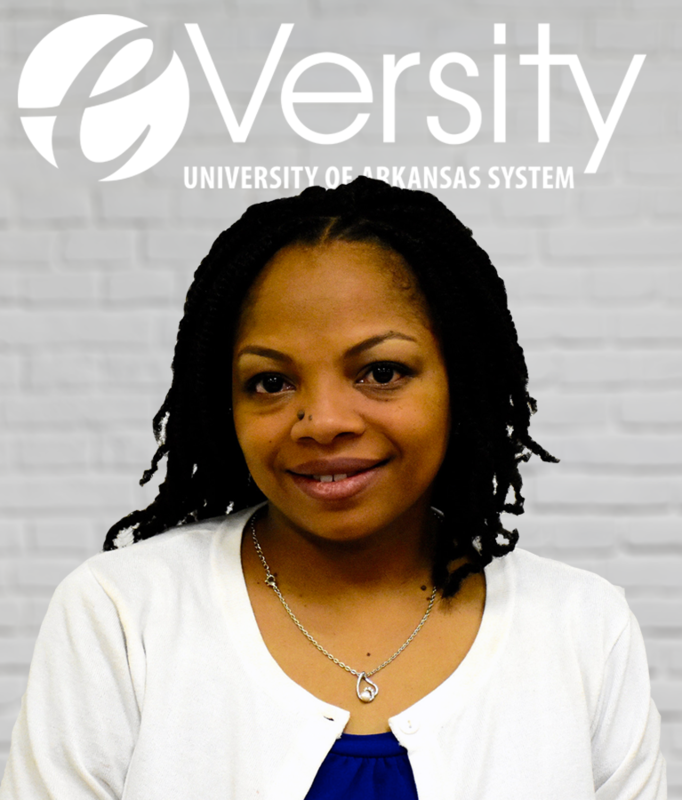 Asked to similarly dissect the University of Arkansas System eVersity, where she also teaches, she said the program’s relevance of study and convenience of content delivery are the program’s most impactful attributes. Merriweather said the impact of such a program is universal wherever nontraditional students reside, but for rural and less-educated areas of the state the promise of a bachelor’s degree is particularly appealing. As a native of Pine Bluff, which like many Arkansas Delta communities has had its share of social and economic challenges, the potential benefits reside right outside her window. Merriweather gives eVersity high marks for the manner in which it delivers the content and for the support that students receive, especially through the advising staff. These professionals serve a critical function, acting as an extension of the professor to help keep students on track. As word of these positives gets out, it’s resulted in higher enrollment. Merriweather, who teaches a criminal justice course, said class headcount has risen steadily in the time she’s been involved with eVersity. Her latest group, numbering about 30 students, is her largest class yet.